Before the video to the much awaited Lord of the Mics 5 - ‘Allstars Track’ is released to us all, they've unleashed this years line-up and the official audio track. Jammer, Maxsta, Big Shizz, Blizzard, Lil Nasty, Realz, D2, Lil Choppa and Zeo are all part of this years line up and their album has already hit the Top Ten in the iTunes hip hop chart. 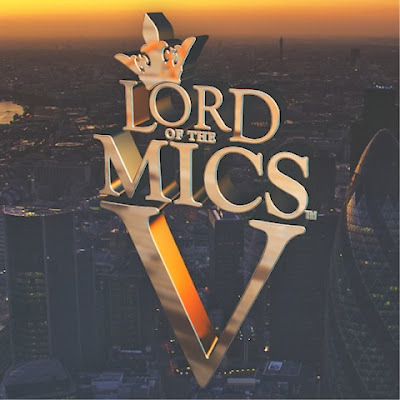 Returning in it's true form for the fifth series, Lord of the Mics has caused a shockwave of excitement throughout the UK's urban underground by showcasing the battling talents of the, then unknown artists such as: Wiley, Skepta, Kano and Tinchy Stryder - since it's launch in 2001. The official DVD is was released on 16th December 2013 accompanied by an audio CD featuring some of the biggest names in UK music via iTunes.